The Altaïr jumping saddle comes with a semi-deep seat providing great pelvic engagement. The narrow twist ensures a correct leg position. The Altaïr jumping is perfectly adapted for beginners and riders who are learning riding aids. The tree is made with laminated beech wood and reinforced with steel strips. Semi deep seat providing a very close contact with the horse. 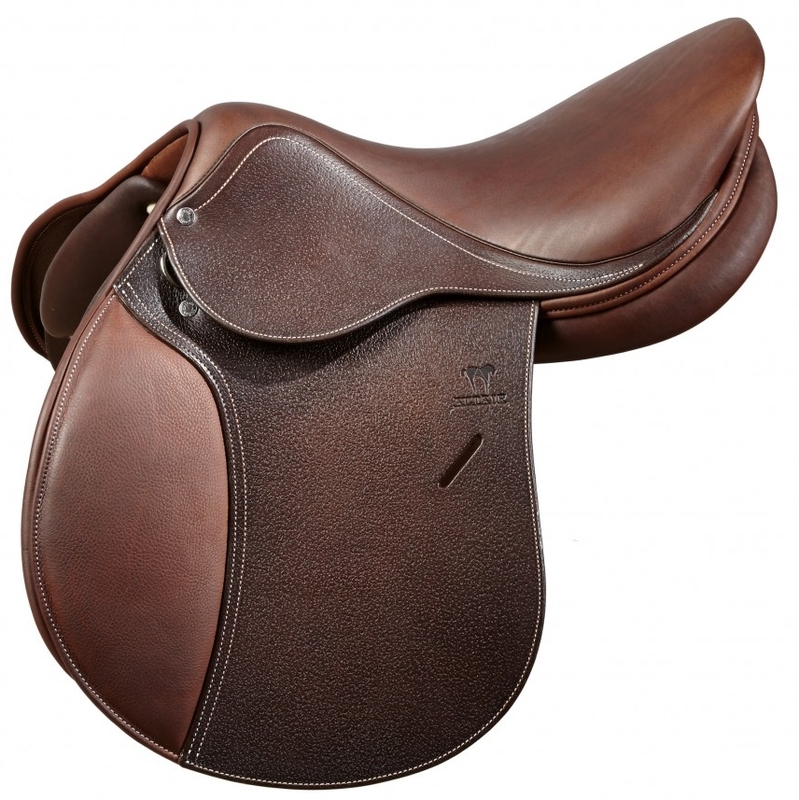 This is the perfect saddle for cross country or show jumping. The tree is made with laminated beech wood and reinforced with steel strips. 5 years limited warranty on the tree. 2 years limited warranty on the leather. The Altair Dressage saddle comes in a deep seat and single flaps. It is a great saddle to start dressage and show. The flaps are calfskin lined and the ergonomic block promotes comfort and security. The tree fits a majority of horses. Traditional tree made with laminated beech wood and reinforced with steel strips. 5 years warranty* on the tree and 2 years warranty* on the leather*.